As you will be tired on arrival in Peru, we will arrange for you to stay right by Lima Airport. Fly over the Andes to the UNESCO Heritage city of Cuzco. After a chance to freshen up we will take you on a Cusco City Tour to appreciate the mix of Incan and Colonial styles including visits to the huge Inca fortress of Sacsayhuaman. Stay in Cusco or take the short trip to the Sacred Valley of the Incas for a comfortable night’s sleep. Start your exploration of the Sacred Valley of the Incas — the vast valley below Machu Picchu and an area where a traditional lifestyle continues to this day — by visiting the charming town of Chinchero. 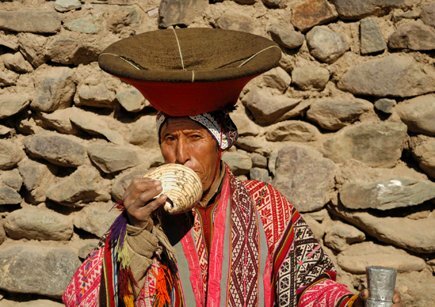 See traditionally dressed locals in the handicrafts market at Pisaq. After lunch alongside the Urubamba River, your tour ends in Ollantaytambo, a pretty village laid out in the traditional Incan format and dominated by the Inca terracing fortress above. Stay here or return to Cuzco. 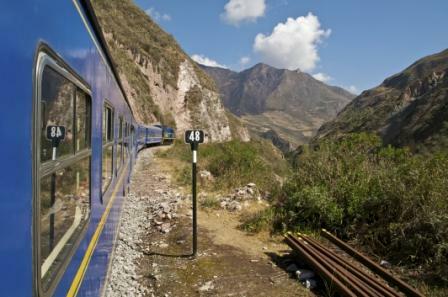 Catch the early train to Machu Picchu passing through lovely mountain scenery. Arrive with plenty of time to begin exploring the breathtaking Incan city. Your guide will take you around the site, then you will have time to explore Machu Picchu on your own – walking to the Inca Bridge, the Sun Gate, more photos or just quiet contemplation. Then in the afternoon you will head back down to your evening train and transfer to Cusco and your hotel. Option! Spend a second day at Machu Picchu to climb up the peak of Huayna Picchu. A second day´s visit to Machu Picchu will allow you to climb one of the viewpoints and wonder at the surrounding mountains, see the Inca bridge, Sun Gate or maybe just walk around and take in the nearby site at your own speed. Afternoon train back to Cusco. 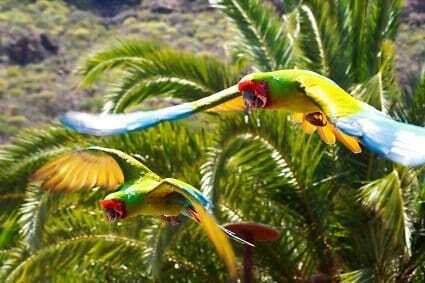 Fly from Cusco directly to the jungle town of Puerto Maldonado. From there, getting to your jungle lodge in a 20 foot canoe is an adventure in itself! After learning about staying safe and healthy, you’re out in the jungle walking among the trees, flora and fauna experiencing the full extent of the Tambopata Reserve and hopefully get your first glimpse of the wildlife. You will spend the day out and about with your experienced nature guides. Paddle around lake looking at otters and other riverbank creatures, take a jungle walk and learn about the amazing properties of jungle plants, and if you want more, listen to the sounds of the jungle at night on a guided walk to see weird cute and wonderful frogs such as horned frogs, tree frogs and an incredible variety of colorful insects. One of the most fascinating aspects of the jungle is how local indigenous communities live in a close and intricate relationship with the nature all around them. You can see this in action as you visit a community ventures and meet the locals. Later on your visit to a clay lick you’ll be amazed by hundreds of brightly colored parrots, macaws and parakeets descending. Travel by boat and plane back to Puerto Maldonado airport, Lima and home. Tambopata is one of three major Amazon jungle reserves in Peru and we think it´s the best. Three different ecosystems converge here as the home to a truly incredible amount of diversity – perhaps the greatest on the continent. 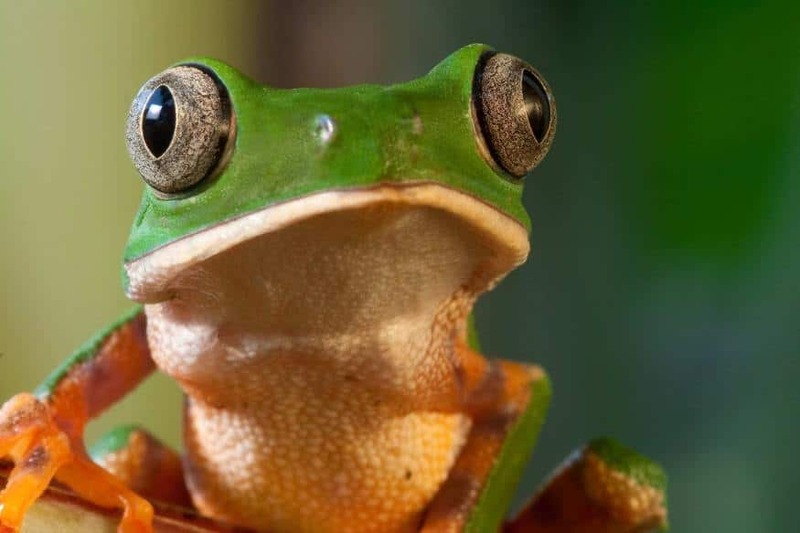 Just look at the numbers: 1,234 types of butterflies, 592 species of birds, 152 varieties of dragonflies, 135 kinds of ants, 127 species of amphibians, 103 types of mammals, 94 species of fish, 74 kinds of reptiles, 40 species of termites and 39 varieties of bees. Amongst these are 13 endangered species including the jaguar, the giant otter, the ocelot, the harpy eagle and the giant armadillo. Option! For a more in-depth jungle experience, visit the remote Manu region.